Garden Photo of the Day: "There's not a thing out there to see"
"There's not a thing out there to see"
I neglected to mention that about as often as Margaret Moseley calls me up and says, "You ought to see my garden today. It's the prettiest it's ever been," I'll get this answer when I call her up: "There's not one thing out there to see." I called around noon today to see if I could come for a visit. Margaret is making an amazing recovery and is in great spirits. She said I could come, but warned me that it wouldn't be worth it to see the garden. "There's not a thing out there in bloom. It's all gone." Ha! I know she isn't able to see much from her chair in the den, but I ended up taking 121 photographs today. It was hard to choose just one to publish. I succumbed to the iron bird bath again with the Camellia japonica 'C. M. Wilson' in the background, a bloomed out daphne on the left and the foliage of Scilla hispanica coming up in front. While many of the camellias were on the wane, there were still plenty in bloom. It was hard to capture an entire shrub (some are 15 feet tall), but I got some great garden scenes, despite the poor light and the fact that it's still winter. This is funny. I took the photos first, then put them onto my laptop, which I had brought with me. After we looked at today's subjects: daffodils, hellebores, ipheion, pearl bush, epimedium blooms and countless camellias, I went back and showed her other times in the garden. I put the "view" on full page. Thusly, we went through the seasons in her garden, dating back to my old camera which gave out in 2006. "Now can you believe I did all this?" she would ask over and over. It was amazing to see season after season of garden scenes and shrubs and perennials and trees in bloom. One photograph showed a fall scene, with a'Yuletide' sasanqua hybrid, loaded with red flowers with yellow stamens. Above it was the bright red foliage of a sourwood tree she'd planted. I admonished Margaret for having cut down the 'Yuletide' this past year. She gave me a scolding look, but admitted that she might have made a mistake. "I remember now I wanted those two reds together in the fall." 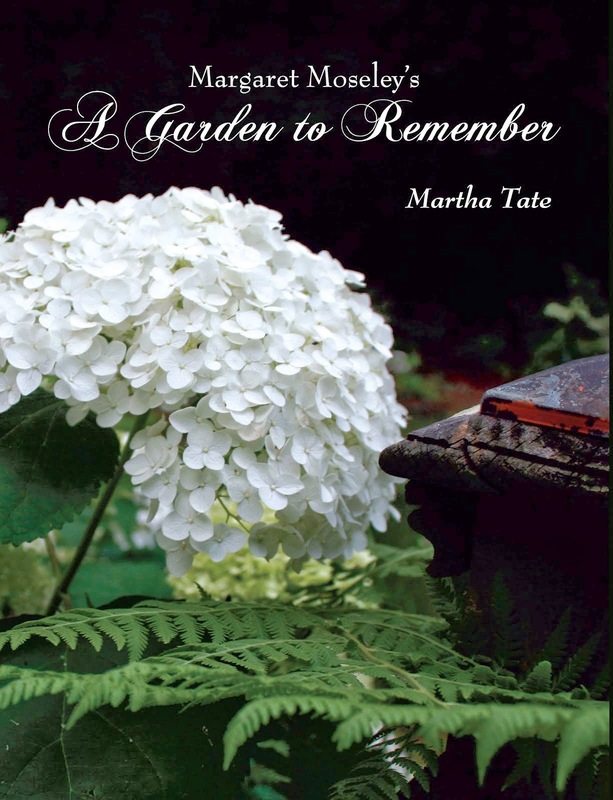 It was extraordinary to go back through all those photographs and realize that one person with a helper now and then had planted all these wonderful plants - ferns, hellebores, hydrangeas, camellias, azaleas, rhododendons, viburnums, kerria, flowering apricot, cherry trees, spirea, bulbs, clematis, poppies, roses, iris, ginkgo, epimedium, hostas, daphnes, pieris, michelia, Confederate jasmine, bottlebrush buckeye, phlox, Japanese maples, pieris, crocosmia, daylilies, foxgloves, lamb's ear, ajuga and on and on. After she had looked at the photographs for at least an hour, she turned to me and said, "You know, I couldn't wait until morning when I'd go out and see what was in bloom. I just loved it. I don't understand it. Why would anyone want to go on a cruise when they could go out and garden every day?" Something to contemplate.